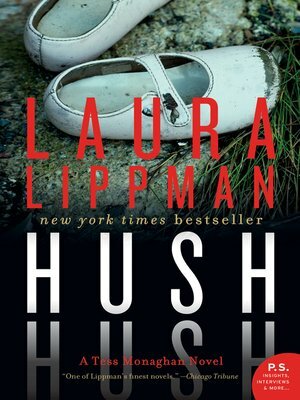 New York Times bestselling author Laura Lippman plunges Baltimore private investigator Tess Monaghan into a twisted and disturbing case. Tess Monaghan has encountered almost every possible criminal motive throughout her career: greed, revenge, jealousy, rage. But there are crimes that defy all attempts at understanding, where a search for motive seems pointless. Melisandre Harris Dawes committed such a crime. Found not guilty by reason of insanity, she fled the country, leaving her two daughters with their father. Twelve years later, she's back in Baltimore, and Tess is asked to provide security detail while Melisandre films a documentary about her attempts to reconcile with her now teenaged children. Tess, juggling work with caring for her demanding toddler, is uneasy about the case. Still, Melisandre's lawyer is family. And there is something about the woman herself—confident, beautiful, shrewdly intelligent—that draws Tess in. Is she a master manipulator or someone who was driven to temporary madness? Cold and calculating, or a mother concerned for her daughters' well being? Someone is leaving Melisandre enigmatic, threatening notes. Soon Tess, insecure about her parenting abilities and receiving cryptic messages of her own, isn't sure whether she should be protecting Melisandre from harm—or protecting everyone else from Melisandre. When Melisandre becomes the prime suspect in a murder, Tess must uncover the truth. Doing so will mean confronting her deepest beliefs about what separates good parents from bad, madness from sanity, and what lengths even the most rational person will go to, to protect what they cherish most.